You are here: Home / Lifestyle / Home / 175 years in the making – still pioneering ! 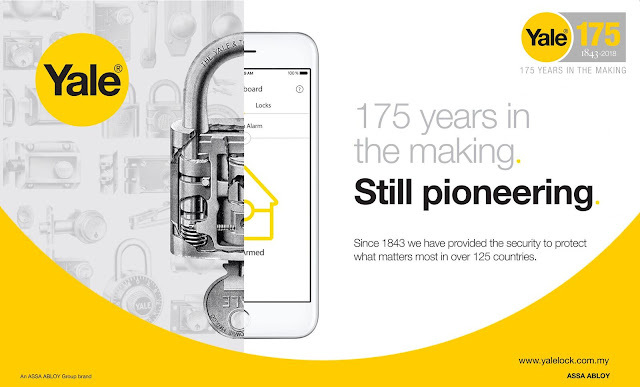 175 years in the making – still pioneering ! 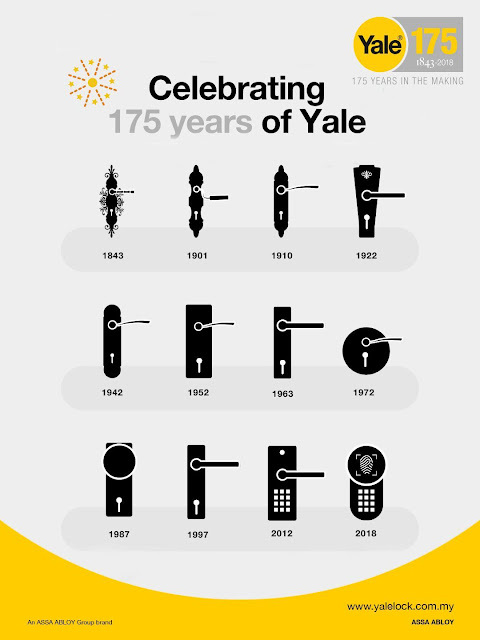 Yale celebrates over 175 years of heritage with reliable solutions that are relevant to today’s market needs. One of the oldest international brands, Yale is a well known name in the lock industry. Our history can be traced back to a family business started in the USA by Linus Yale Jr., who was experimenting with a lock-based mechanism first employed by ancient Egyptians over 4,000 years ago. That was how he came to invent the famous pin tumbler mechanism which is still widely used in the security industry today. By the 20th century, the company expanded globally and employed over 12,000 people. In August 2000, Yale was purchased by the ASSA ABLOY Group. While our innovative products had withstand the test of time, our growth has always been fueled by our commitment to quality and to provide peace of mind to our consumers. In keeping with latest trends, one of the key influences in defining modern home security needs are the growing connectivity of smart homes with smart devices. The smart home concept may sound absurd decades ago as household items then could not be operated via mobile apps or voice command. The demand for smart home devices is set to increase drastically as it is estimated that in the past few years over 80 million of smart devices were sold annually. That figure is set to rise tremendously to 26 billion* by 2020! 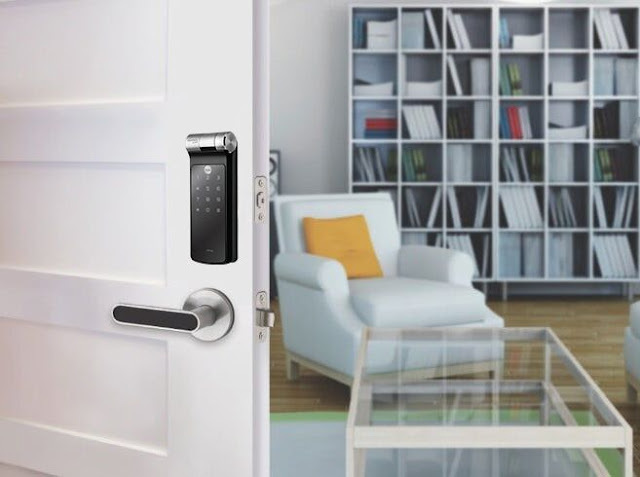 In line with such tremendous growth for smart devices, Yale has introduced a range of smart new solutions such as the Yale Smart Door Locks to suit today’s homeowner needs for a quality product that could provide convenience and a peace of mind. Yale Smart Door Locks provides homeowners the freedom to secure their property without the hassle to carry bulky keys. It also minimizes the risk of homeowners losing their house keys when they are on the go running errands. 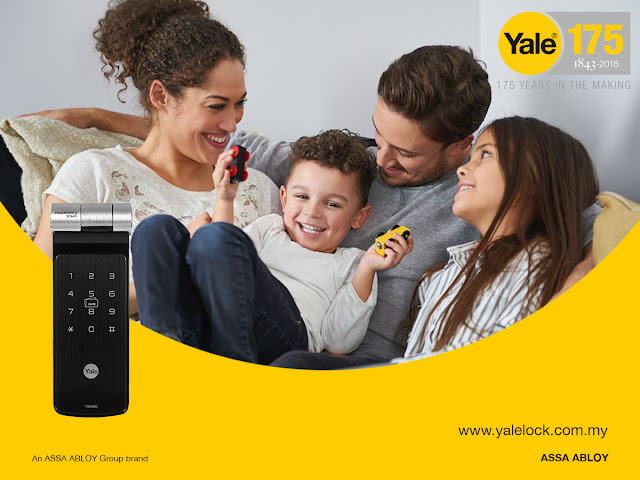 For greater mobility especially for homeowners that are always on the go, Yale has develop Yale Link app that is able to sync with Yale Smart Door Locks. The Yale Link app was developed using Internet-of-Things (IoT) technology which allows homeowners to lock and unlock their Yale Smart Door Lock with the use of their smartphone. The Yale Link app provides homeowners “real-time” peace of mind as they are able to monitor access activities in their home through their smartphone. Homeowners are prompt instantly when their door is lock or unlock, they are also able to grant access to guests and visitors. Yale Link app also has an intruder alert function which is tracked and monitored using the Audit Trail service. Mr. Aravind Karthigesu, Managing Director for ASSA ABLOY ASEAN, said: “It’s an exciting time for Yale as we work on designing and developing brand new products to provide homeowners with convenience and peace of mind that their belongings are secure. Yale Smart Door Locks is now available in Malaysia and the free Yale Link app is currently available on Android’s Google Play store and Apple iOS’ App Store. To keep up-to-date with the latest advances from Yale, please visit www.yalelocks.com.my or follow us on social media. Panasonic Cubie Oven (model NU-SC100W) makes MAGIC to my cooking!